Take a look at what the band will be up to in 2019. Details of parades, recitals, concerts, and other miscellaneous events will be updated regularly. 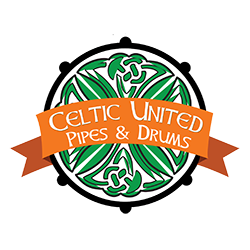 The Cetlic United Pipes & Drums is available for weddings, funerals, parties, parades, and other functions, either as a whole band, a mini band, or individual members. Over the years, members of the band have taken many photos, and we’ll try to organize them here so you can see some highlights of the band.